Showing entries for category "sessions"
Into the Box, Sessions, Speakers 0 Add a comment! Tell us something funny about yourself? When I was little my mother led me to believe that I was funny. My wife has not forgiven her for this. Why should companies or developers modernize? Nothing in the world stays still. In fact, there is a certain level of entropy that enters our lives every day unless we actively push back against it. Call it the "cost of being alive" if it helps. To stop creating or to stop making our products and craftsmanship better is either giving over to that entropy or falsely assuming we have reached the pinnacle of existence, which probably isn't true. Not moving forward carries with it the built in decision to make yourself irrelevant and hoping that no one will notice. Not to act like a spoiler but chances are the audience you're trying to deceive will notice well before you want them to. Why is ColdFusion (CFML) still relevant? This question always reminds me of a story about a man wandering the world looking for wisdom. In his wanderings he finds a teacher and asks, "Sir, do I really exist?". The teacher looks at him and says, "Whom shall I say is asking?". CF is relevant because we have a community of people, products, tools, companies, blogs, podcasts, conferences and careers that are active, presumably making a living and solving problems well enough that we can exist to ask the question. J.J. Allaire created CFML in 1995 so it's only 6 years younger than the World Wide Web itself. How many other languages, communities and technofads have arisen and flamed out in that time? CF isn't the answer for all things but it's a fantastic answer for many things. Maybe it's naive but I think it will only stop being relevant when that community doesn't exist anymore to ask the question. What would you like to experience during the conference? I have a very active two year old at home. If I could experience a nap I'd consider it a win. I'm excited that a "siesta" is built into the schedule. One thing I love about going to conferences is just being around so many people who are actively working on getting better at what they do. Frequently they are approaching problems in ways I haven't considered and know about things of which I've never encountered. There's also something affirming when you realize that the reason that you have a roadblock isn't (necessarily) because you're an idiot but because you're also moving forward and you're starting to really understand the complexities that you're facing. Sometimes, seeing how someone farther down the development trail solved the problem usually helps bring your own situation into more clarity. Ideally, on a good day, you might be able to reciprocate. Which speaker at ITB do you want to sit down and ask a few questions? Looking at the speaker list, I have a slight apprehension that I'm going to be like Wayne and Garth backstage at Alice Cooper in Wayne's World. If I get through the week without shouting "I'm not worthy" to a few people, I'll consider it a major feat. I'm looking forward to Pete Freitag's Security workshop. Jeffrey Kunkel's session looks like a good reminder that we're human beings behind the keyboard, not an extension of the CPU. Ideally, it would be great to find a way to wire up Luis' and Brad's brains and just "push play" then sit back and start taking notes. That being said, there are very few people in the world that you can't learn something from and the CF community tends to attract some great people. Why should attendees go to your session? I'd like to think that my session is little bridge between some of the large lofty ideals of DevOps, Automated Testing and customizing workflow and the feeling of "Crap, I'm back from the conference, I'm in front of my keyboard and I'm supposed to be typing something". CommandBox is such a powerful tool and does so much that it's easy not to know where to start. What the session does is lay out some common real world scenarios and the challenges that you'll need to fix in order to navigate them. Then we go through how you can use some of the features of CommandBox to either minimize, automate or even sidestep those challenges all together. The session is based on many of the processes we are implementing at Springboard as our developer team grows and our platform becomes more sophisticated. So, I guess the answer is 1) Immediate relevance, 2) widespread applicability and 3) my wife has made me promise not to try and be funny. What is your favorite *Box Product and why? CommandBox followed by TestBox. As "fanboy" as this probably sounds, CB was the solution to so many roadblocks in my development process that I wasn't even aware that I had. If I'm at my computer, chances are that it's open. I've started using it with my college students and have based most of the developer workflow at Springboard around what it can do. Dan Card is the CTO of getSpringboard.com and has been using CFML for 15+ years in a variety of settings including in the education, non-profit and for-profit sectors. He is the coordinator for the Boston ColdFusion Users Group and is an educator at the Univ. Of Mass. Lowell in the Division of Online and Continuing Education. A lot of people like my New Zealand accent, but my wife says, "yeah, its great, until you realize you have no idea what he's saying". It's in our best interest to make the most of the latest and greatest tools available to help us do our jobs. If you can be faster, more efficient, more effective, more reliable, we should take that advantage. ColdFusion is a mature and powerful language, built on top of the JVM, giving us the full power of Java at our fingertips. With modern tools like Package Management and Containerization, CFML gets the job done. I want to catch up with friends, new and old alike. I always leave Into the Box inspired to do bigger better things, and put into action all the amazing new things I have learned. Brian Klaas always has great AWS presentations, and there is always more to learn with AWS. If you are looking for a Content Management System, I'll show you not only how to get up and running with ContentBox, but how to deploy it to a cloud provider using Docker. CommandBox, because without it, we'd still be in the stone ages. No one likes maintaining legacy code. Yet we all have legacy code. Modernizing is the way out. It allows us to convert legacy code in to code that we enjoy working with without rewriting from scratch. CFML is still relevant because CFML is still evolving. Open source engines like Lucee and companies like Ortus are pushing what we can accomplish — creating powerful abstractions, frameworks, and tools to match the developer experience in other languages. I love the collective brain trust that gathers for ITB. There are so many great ideas thrown around. I hope to have time to sit down, hopefully with some of the attendees, and add some great features and fixes to our open source arsenal. I really am looking forward to chatting with Wil. He's been at the front of Quick and qb and I look forward to hearing his experiences. Matthew Clemente always has great insights to making our Ortus products more accessible to the wider CFML community and I enjoy hearing his ideas as well. If you want more portable, version-controlled development environments, come learn about cfmigrations and commandbox-migrations. If you have used CFORM in the past or have no idea what an ORM is, come see how it helps you interact with your database with Quick. It would have to be ColdBox. Modules and ForgeBox changed the game for CFML and have enabled many more shared libraries and frameworks to emerge. David is a Canadian ColdFusion developer who lives in Argentina with his wife and 4 extremely active children. He's been with CF since version 4.5 and was briefly the only reseller of CF in Argentina before Adobe acquired Macromedia. He's dedicated full-time to CF development on several new and legacy projects as well as a strong CF advocate and a current member of the CFWheels Core Team. He currently works full-time “creating things that matter” at Intoria Internet Architects, a web development company based in Calgary, Alberta, Canada. There's nothing funnier about me than the fact I wanted to be Vanilla Ice when I was in high school. I dressed the part, had zigzags etched into my hair and even spoke like him. Ice Ice Baby still makes me smile! I'm often conflicted by this question. As a business owner, I don't believe in upgrading for the sake of upgrading nor have I ever recommended it. I've always needed a solid business or security reason to do so. I believe in tools that work and using just enough technology to make life easier. I think it's important to have a good knowledge of what's out there and to make decisions based on what's best for the users, not the developers. As a developer, I believe that good ideas are good ideas no matter who comes up with them. Therefore if my tools don't have them, I look for ways to get them added! Quite simply, because it works. I've never had a problem I couldn't solve in ColdFusion and even when we added mobile apps, we still used CF as a back-end and it's never failed us. I feel even better about sticking with CF when I see how many "new and exciting" technologies were promptly abandoned. I went to Into The Box last year and loved it. We didn't use any Box tech before I went and after we've dipped our toes in the water with CommandBox. I'm keen to meet new members of our community and to be able to share some of my experiences as a speaker for the first time in my career. I'm looking forward to speaking with Eric Peterson. We work a lot with ORM and I'd love to hear about his work with migrations. LNo one thinks about adding another spoken language to a site until it's too late. A lot of the time, especially in legacy apps, most developers don't even know how to begin such a project. I intend to share my experiences with the attendees and I know this session will raise awareness and help them be better prepared for a more worldly site. CommandBox is by far my favourite Box! Getting new developers setup and going fast was always a challenge. Now, things are much quicker and easier. Box start! So that they don't restricted their business with their own implementation. There are many web apps running in CFML, and lots of them are part of companies core businesses. Companies like Ortus are making a great effort to develop modern tooling to empower CFML developers and power CFML apps. I am looking forward to evangelizing developers living in Legacy Hell and show them there is hope. You'll get a good overview of what you can do with ContentBox, which is a modern CMS built for developers to power scalable web apps. There are a lot of cool new features around security, user management, container deployments, upgrading, and much more. I wouldn't chose one single product but the BOX ecosystem as a whole, which provides great value to developers and the apps they develop. Jorge is a passinate Industrial Engineer born in El Salvador with 10 years of experience managing projects. He currently manages web development projects for Ortus Solutions, Corp.
Lonnie Ramirez is a Software Engineer at Clango, Inc. He has 3 years experience developing web applications in Coldfusion and is currently attending Syracuse Univesity for his Masters Degree. He enjoys wildlife, dev ops, and a juicy algorithm. When you don't find him building tools to make his life better he can be found at Sci Fi Conventions mingling with Whovians and Klingons. I am normally found dressed up in interesting costumes at various conventions throughout the year. Companies should modernize their work flow and processes. Coldfusion is a great language for api and web application development that allows for quick prototyping compared to other options available. I would like to learn something new as well as meet someone interesting. Learning language specific frameworks and code is great to improve immediate daily throughput, but learning design patterns and how to identify and use them will help improve your code throughout your career. CommandBox because it has revolutionized CF development for anyone not just those in the Box community. From my junior year of high school, I knew with absolute certainty that I was going to be a university professor of English literature. As you may have guessed, because my ITB session isn't a lecture on HamletBox, even best laid plans of mice and men often go awry. For companies, the reasons to modernize are numerous and compelling. Modern workflows and approaches to development are more efficient, less brittle, faster, more flexible, and attract better talent. The reasons for developers are similar; but I would add, not least importantly, that there's a lot of fun and excitement in what you can achieve with modern coding practices. CFML is an actively developed language (both engines!) with a community of developers who are passionate about what they do. Developers building with CFML are using advanced tooling and modern coding practices to deliver fantastic apps. Community + Development + Results = Relevant. I'd like to experience advanced CFML coding, practices, and ideas that I can bring home and implement; to have interactions with really intelligent developers who can help me become a better developer myself; to have my mind blown a few times by some amazing new *Box development. Hard choices! I'd say Matt Gifford. His early CFML API wrappers got me interested in writing my own. He's not usually on this side of the pond, so ITB is a chance to actually meet and speak in person. If you're looking for ways to get some real-world, hands on experience with Swarm, this is the session for you. Docker is exciting, but the roadmap to container orchestration can be downright confusing. We'll be looking at practical approaches and concrete steps to actually learning and deploying Swarm. And we'll build an awesome API mashup app along the way. CommandBox is the easiest answer here, so I'll go with what might be a less common choice: ForgeBox. It encourages open source CFML contributions and provides modular solutions to common developer problems. It's like a magic code toolbox; I can reach in and pull out all the components I need to quickly build an application, connect to an API, etc. Matthew is a Founding Partner of Season 4, LLC, a team of designers, programmers, and writers working in the legal industry. After studying English, he took the road less traveled and one day realized, much to his own surprise, that he had become a developer. Perhaps because code can be poetry and applications are the built on creativity, logic, and language, he, like Alice, decided to keep going down the rabbit hole, to see where it would take him. He's been building with ColdFusion since MX 7. He's a husband, father, and always trying to be better. You can find him on Twitter (@mjclemente84), Github (@mjclemente) and he blogs, time permitting, at the cleverly named blog.mattclemente.com. When not managing his web hosting company Wil is building software, and doing some training and consultancy. He develops new parts of the Site4U customer portal and inventory system, by combining multiple database engines, queuing and all kinds of APIs while using as much Coldbox features as possible. Wil graduated in Environmental Sciences and started off his career as a research microbiologist. It took him almost 10 years before he continued fulltime as an IT specialist. In 1994 he founded Site4U BV, at that time a company specializing in software development and web design. One of his first forays in website design was an application to find Dutch internet access providers at local area rates written in PHP/FI and Mini SQL, but soon he discovered this kind of interactive websites could easier be built with DBML (database mark-up language) using Cold Fusion by Allaire Corp.
Because decent ColdFusion webhosting was almost non-existing, Site4U decided to organize its own hosting facilities. Several years later focus of the company switched from building software to web hosting and nowadays Site4U offers cloud services at three locations in Netherlands and Switzerland. In his spare time he bakes serious amounts of bread and pizza for co-workers, friends, neighbours and family. In my spare time I am a quite fanatic bread and pizza baker. Of course I had to build my own woodfired oven in my backyard (http://www.lekkermelig.nl/een-dak-erop/), sorry in Dutch only...) and when it is cold and rainy I have a special bread oven indoors which allows me to bake 12 loaves in one session, so there is plenty of food for family, friends and neighbours. I am also the administrator of the Dutch bread baking forum. I don't think CFML is better or worse compared to other languages. I am quite experienced with CFML and coldbox, so for me it is an easy choice. There are still a lot of companies using CFML although it never became real popular in NL. We are moving to using CFML for backend API development mainly. I think for frontend development there are better tools out there, but they all have their learning curve, so for smaller project it still makes sense to do frontends in CFML. Last year I got very inspired from many sessions, and heard about a lot of new tools. This year I am expecting the same, and I also hope I can share some of my experiences with other people. This is not limited to the conference of course, there's also slack for daily communication. Eric Peterson. I liked his presentations last year and started investigating a lot of modules which he created. I already gave a lot of feedback, but it will be nice to talk in person without an ocean between us. And Luis of course, because he's the only other person I know who likes CF ORM. My session on RabbitMQ will show them how they can communicate with almost any other system with relative ease. It is really flexible and RabbitMQ solved a lot of problems for our company. I hope I can inspire others and lower some barriers for people who might think RabbitMQ is complicated. There are many. I really love coldbox itself, I am using it for like 10 years now, and the simplicity of wirebox injections although it can be difficult to understand when I teach other people how to use it. And I like many of the modules, such as cbvalidation, cbsecurity, cborm, quick and qb, in no special order. Good question, no answer ATM! Because technology goes out of usefulness as fast as the average work vehicle. It's more relevant. The technology is growing with tools like commandbox, written deeply with CFML. The reach is growing with container concepts like Docker. More function, more reach, less obstacles. Connect with others building similar skills, learn existing technology from Ortus I have not yet mastered like the Quick and Elixir. Engage with others to help build the future even brighter around CFML solutions. George Murphy, his CI/CD experience is something we want to have in place also. We make API development too hard because we don't know how to make it simpler. We don't know where the boundaries are and what can be done better within those boundaries. Commandbox, because it moves CFML development from a personal preference to a technically preferred solution. John Farrar started programming in the late 70's on a Commodore PET. He served in the U.S.Navy and then met his wife during his reservist years. This was when the Amiga drove his computer interest for several years. Eventually he became a web developer and in the later 90's he started using ColdFusion building dynamic web sites. With about twenty years of web development John has become known for his work with jQuery, Knockout and Vue AJAX libraries. Sustainable and profitable come together when the right technology is applied to the correct challenges. John enjoys focusing on strategy that will bring impact without getting delayed by over engineering. Brian Klaas is the Senior Technology Officer at the Johns Hopkins Bloomberg School of Public Health's Center for Teaching and Learning. As the architect for eLearning technology at the School, he leads a team that designs and delivers custom online courseware to students and members of the public health workforce around the globe. 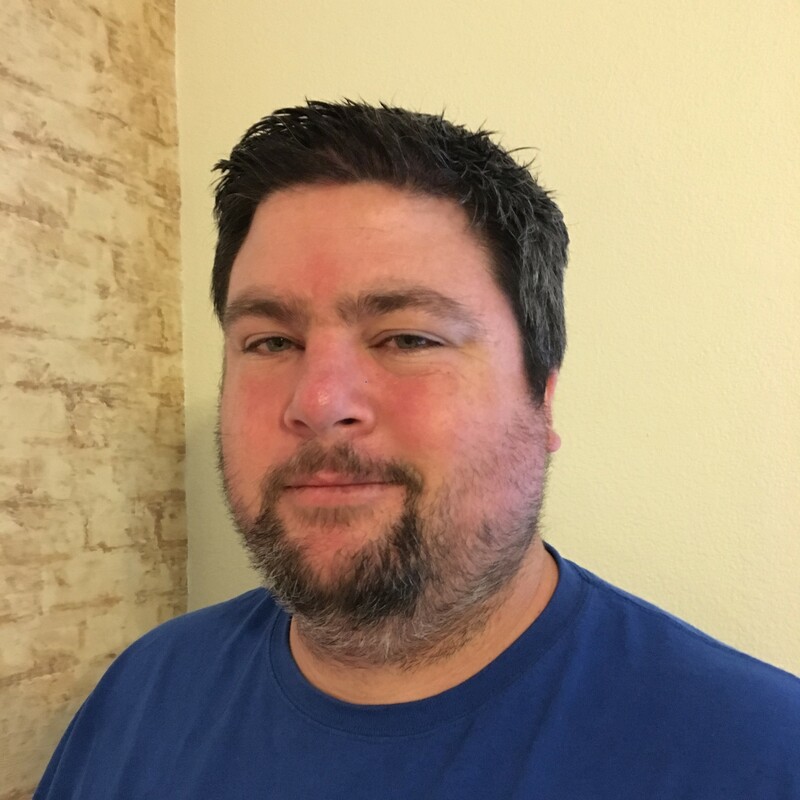 In addition to designing software and delivering courses, Brian heads up University technology accessibility initiatives, teaches "Introduction to Online Learning," and leads faculty training and development courses. Brian has presented on software development and eLearning at conferences throughout the country, including jQuery US, dev.Objective(), CF Summit, NCDevCon, and Adobe MAX. I have serious impostor’s syndrome. Hilarious, right? People in the CFML community know me as “the AWS guy,” which is great. But I know so little — so very little — compared to some of the real AWS gurus out there. If you ask me about CloudFormation, I’ll break into a cold sweat, shout “look over there!,” and bolt from the room. I try to learn something new every day. Whenever AWS comes out with a new service (which feels like a weekly event), I try to figure out how I can add it to my AWS Playbox app. Between teaching at the graduate level, maintaining a huge CFML app, and trying to turn my three boys into responsible young men, I don’t always get to adding new services to the playbox right away. When I do find the time, though, I pull up the AWS SDK JavaDocs and stumble my way to success. I love that I get to learn, and try new things — sometimes things that I can use in my real production apps at work. All the while I’m learning to be less of an impostor and more of a pro — at least until the next Re:Invent conference. CFML is Java, but better. It lets you develop quickly, while having at your fingertips literally tens of thousands of battle-tested libraries which can do just about anything you need them to do. CFML isn’t perfect. It doesn’t need to be. It just needs to make you productive right away, every day, which it does for me and my team. Pete Frietag — he’s so darn smart! CFML can only do so much. There’s no reason you shouldn’t be tapping into the incredible power that infrastructure and software-as-a-service providers give you. Let’s be frank: AWS is the biggest player in that space, and it’s only getting bigger. If you really want to use AWS (or Azure, or GCP for that matter) in a meaningfully secure way, you have to master access permissions. If you can even get a quarter of the way to mastery of that topic, and learn how to automate some of that from within your CFML app, that’s a big win. And that’s what I hope to provide to people who go to my session. CommandBox - it empowers me to be a better developer every day.